Bananas (and Paw Paws) are gross feeders and drinkers, so if you’ve got a boggy spot in your garden, they are the perfect thing to plant. 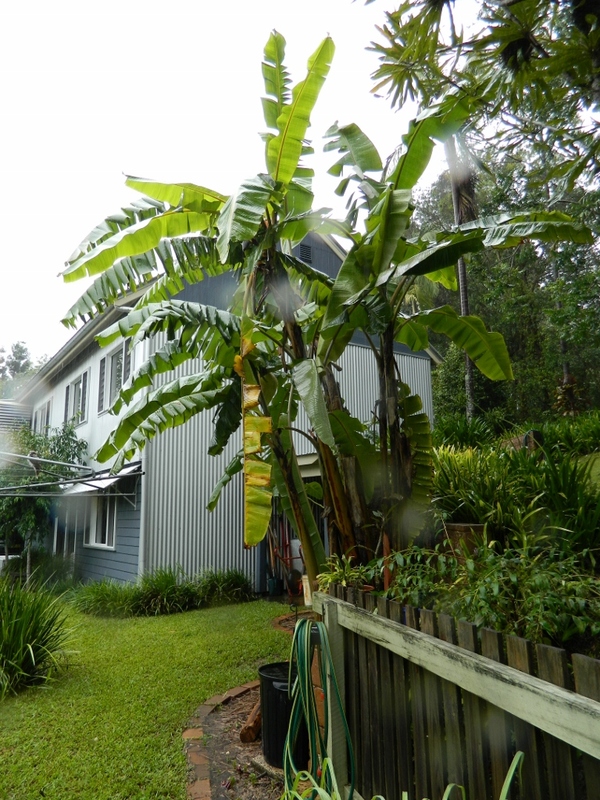 However, when the rain stops and the town goes on to Level 3 water restrictions – you have a problem. 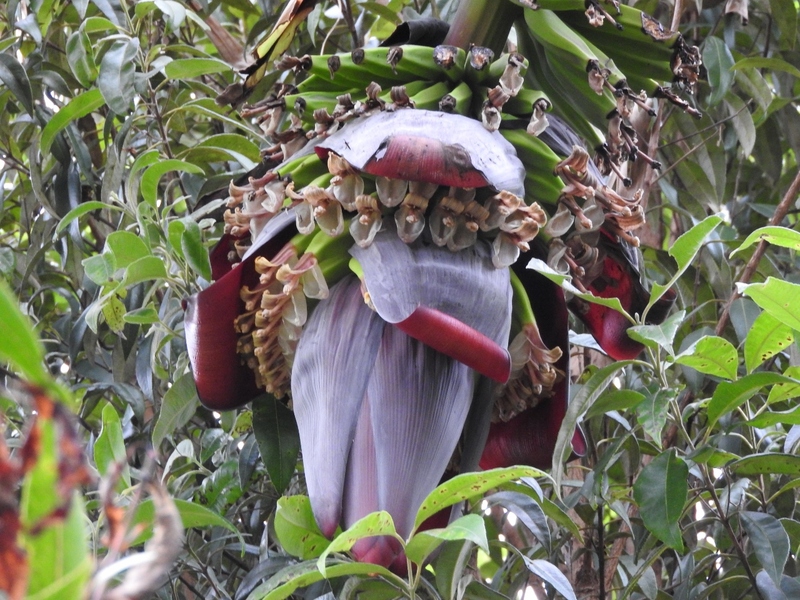 My Musa Pisang Ceylon banana, fruiting for the first time this year, started spring with the most magnificent inflorescence I have ever seen, and I was hopeful of a bounteous crop. But a hot gusty wind bent the already dehydrated trunk over and my hopes were dashed. I ended up with hands of what might be the world’s smallest bananas. I was quite surprised when one by one they started ripening, and they turned out to be the sweetest bananas I had ever tasted. Not wanting to waste them, I revisited one of my old posts from back in “the dreamtime” when we used to have regular floods and rainfall of between 1,500 and 3,000 mm per annum! 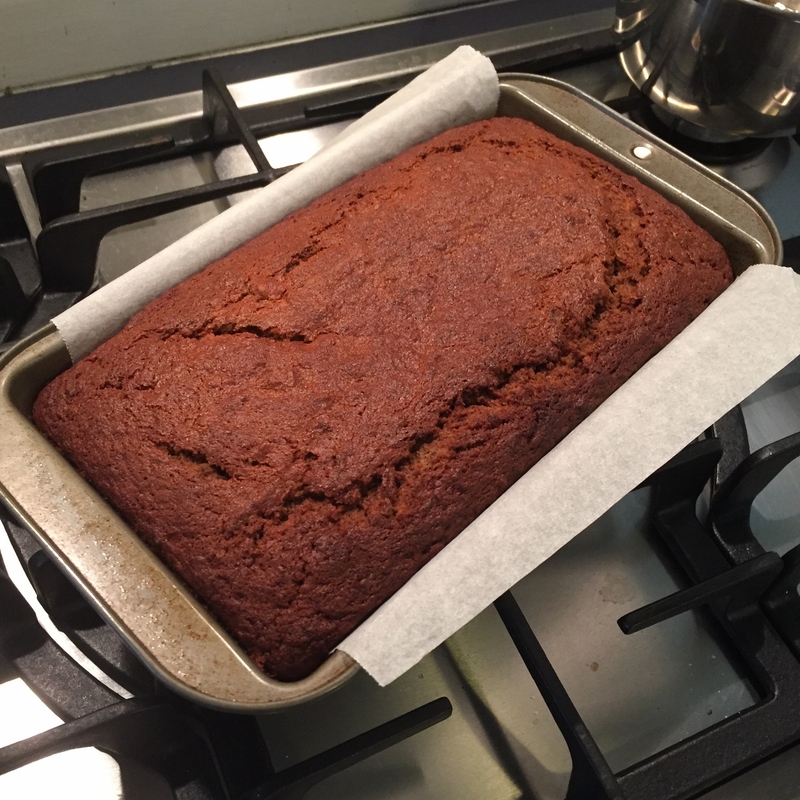 The banana bread recipe I linked to my old post no longer exists, so here is a link to my recipe which I have modified slightly to reduce the rather horrifying sugar content of the original. Still just as nice and with a rich caramel taste. This is an easy banana bread recipe. It has a light texture and a rich caramel taste. It is the only banana bread I have baked which doesn’t sink substantially as it cools. Preheat the oven to 150C (300F) degrees. Grease and line a large loaf tin with paper and hang the paper over the sides to assist with removal. Add flour, cinnamon, nutmeg and bicarb and continue to mix until just combined. Mix mashed bananas, golden syrup or treacle, vanilla and coffee together and then add to the mixture and stir until just combined. Bake for 60mins or until set – check about half way through and turn the tin if the bread is browning unevenly. Store in the fridge for up to a week but serve at room temperature with cream, ice-cream or yoghurt and maybe some fresh strawberries. I was originally going to call this post “What to bake during a cyclone” but that would be slightly melodramatic even considering that it has been raining here for 48 hours non-stop, the bridge has gone under, we’ve had over 300mm of rain and now gale force gusts of wind. All this is courtesy of Cyclone Oswald which has wreaked even more havoc in Queensland. None of this seems to perturb the frogs and what with the rain, the wind and the myriad of excited frog calls, the last two nights have been “ear-plug nights”. Just before the bad weather arrived, I harvested the first bunch of bananas from my “dwarf” Cavendish banana plant. I say dwarf, but as you can see from the photo, it is quite obviously NOT a dwarf. The label says “a smaller growing form – up to 2.5 metres” but mine is nearly two storeys high. The bananas however are definitely dwarf and deliciously sweet. The extreme weather meant that I was trapped inside, so I spent the whole long weekend experimenting with banana bread recipes. 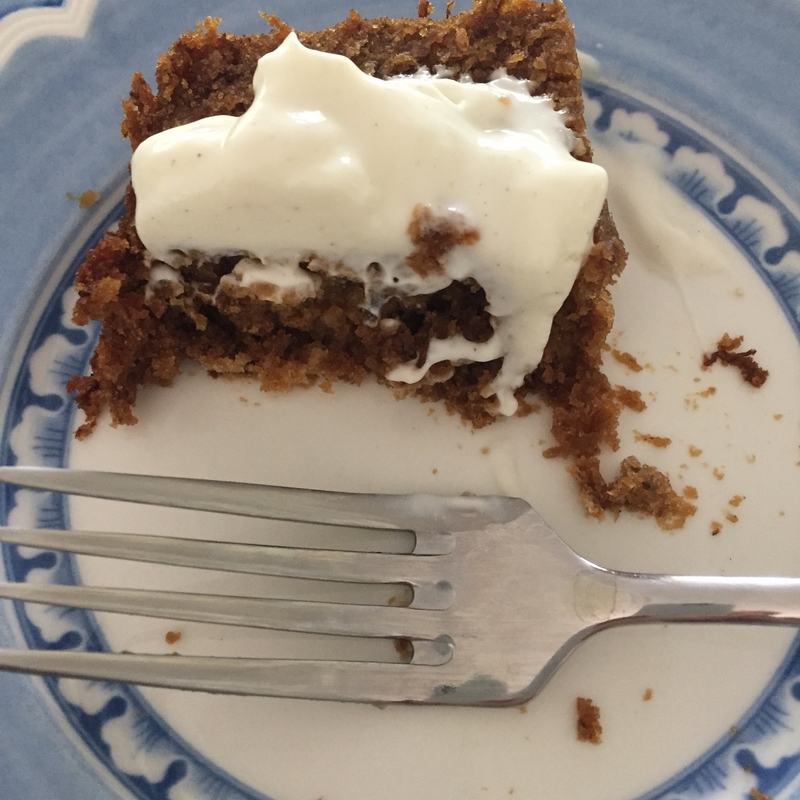 This recipe turned out to be a close replica of the cafe-style banana bread I love. It is spicy, light, not soggy and delicious with butter or yoghurt. Thank goodness I found it because I am now a bit over bananas!